Gift-giving is not my forte. If I'd had my way, those Three Kings would've shown up at the nativity with nothing more than a handmade card and called it good. But it was what it was, and now the rest of us are roped into this tradition of giving gifts to dozens of people of varying levels of intimacy, until we reach the level of intimacy where we can say, "Let's not exchange gifts," and nobody's feelings are hurt. Life goals. Moreover, I've been reading Nomadland, a nonfiction book about all the Americans, many of them retirement age, living out of their vans and RVs, driving around the country doing exhausting, low-wage, physical work in sugar beet fields and Amazon warehouses. Ay ay ay! Look what my sugar habit and online purchases are doing to people! All of which is to say, if we must give gifts, homemade foods seem like a good alternative. Or anything that didn't require an elderly person on four Aleve a day to scan and load or unload or stack or categorize it. My son's swim team did a Secret Santa name-draw, and, in an improvement over past years, he was able to come up with a concept, which he passed off on me and his younger sister to execute. (As recently as last Christmas, I would have been required to come up with both concept and execution.) It seemed his chosen recipient liked chess. Well, we guessed he already had a chess set or two, chess books, etc. 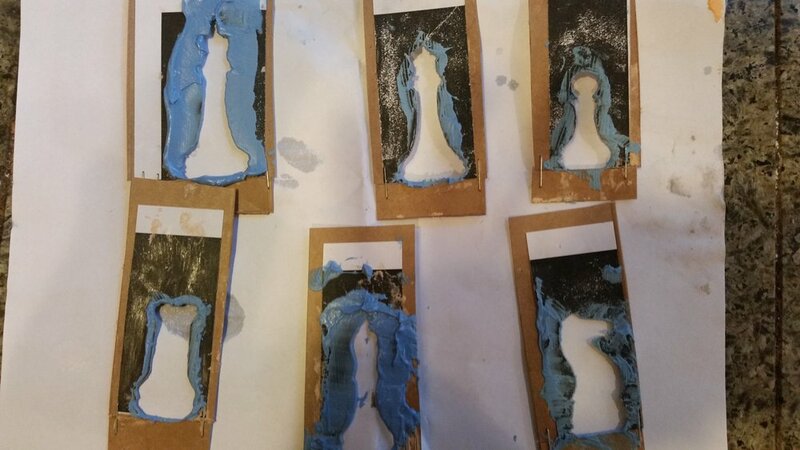 So what if we did chess cookies? Printed out, glued to cereal-box cardboard, and cut out. Frosting not included. To make sure the frosting was durable, we chose the Royal Icing variety, which I decided I'll never make again, durability or no durability. It's more like spackle and about as tasty. Who knows? The kid might have received his highly effortful gift, left it out on the counter all night, container lid open, so that everything got stale, or he might have loved them. We'll never know, because one teenage boy gave them to another teenage boy, and the results were never discussed. By clever interrogation, I did manage to learn one thing. Me: "But did he look more disgusted or delighted?" 16YO: "Delighted." It'll have to do. Merry Christmas to all. No post next week because I'll be off Christmasing with family, but enjoy this last hurrah before Sugar-Free January. Newer PostBeat an Addiction in 2018!